Introducing the MoTET Programmer™, our new Mopho & Tetra programmer panel overlay for the low-cost Behringer BCR-2000 MIDI desktop controller. 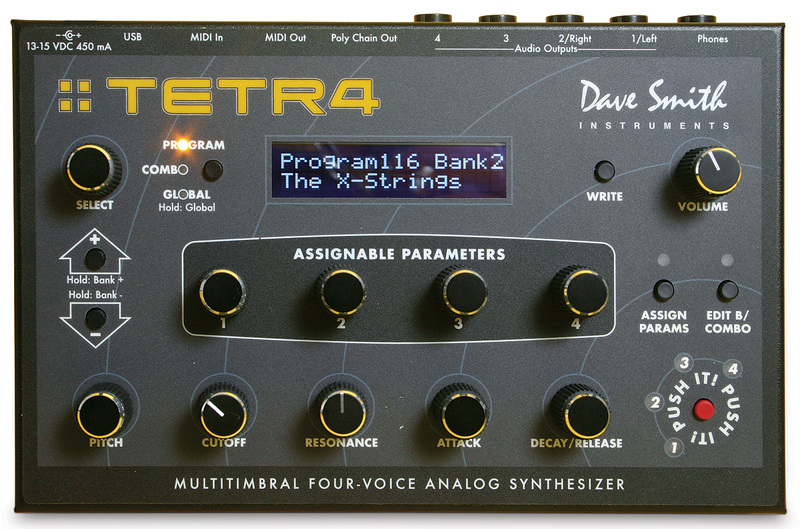 You can now access ALL the sound editing parameters hidden inside your little powerhouse from Dave Smith Instruments. The second row of switches act as a C major scale keyboard allowing you to play it while programming without the need for a midi keyboard, making it the perfect solution for studio sessions and live DJ setups. You can edit both A and B layers on the Tetra, or use two BCR's and edit both at the same time! Includes SysEx template file, no programming required. 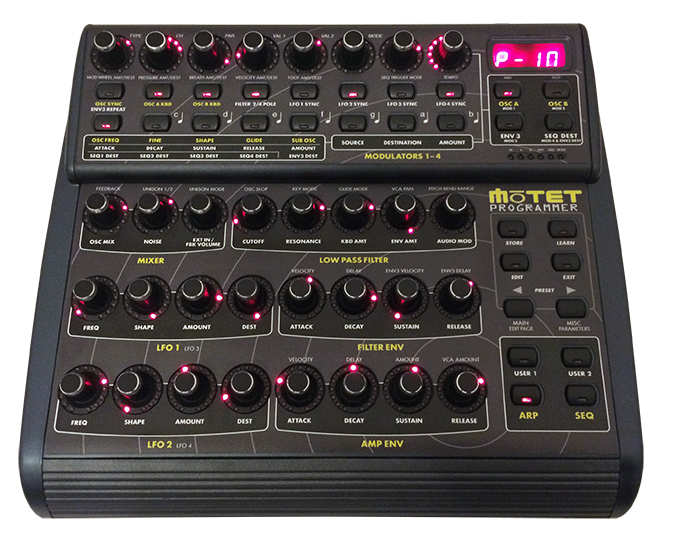 MoTET BCR Programmer Panel Overlay – $55 - SOLD OUT! Click Here to Download SysEx Files. 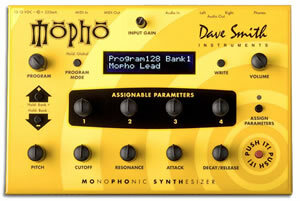 Works with both Dave Smith Instruments Mopho and Tetra. Note: The photos show Prophet-08 knobs installed on the BCR-2000 and are not included. You can order them directly from Dave Smith Instruments. Perfect fit!